Mike, the front flares are seemingly better even though you have some more work to be done on them. Did the Tempest actually run fabricated inner fenderwells back in '71? If I knew, I have forgotten. Well, I went and looked around and sure enough in the July '71 issue of Motor Trend there is a picture of the Tempest's engine compartment from the Lime Rock Trans-Am. It does appear to have the "homemade" inner fenderwells, which seems a bit of a surprise to me. Thanks - finding and posting such was very kind of you. I had the same once before, lost my collection of Motor Trend, copied the same article from an archive, and recently found another copy - albeit the image is tiny as you know. 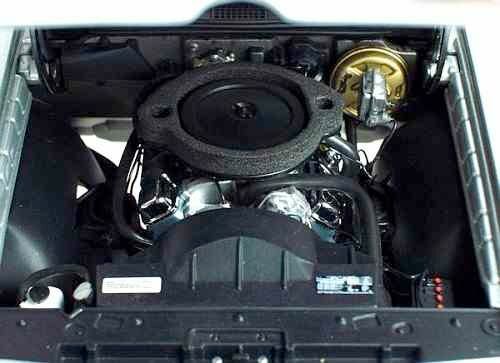 To my knowledge, such is the only in-period engine compartment shot of the car. I study the same, hoping dearly that what is black and white might convert to a color image. The recently taken photos of the car displays roughly the same and predictably, somewhat worse for wear too. 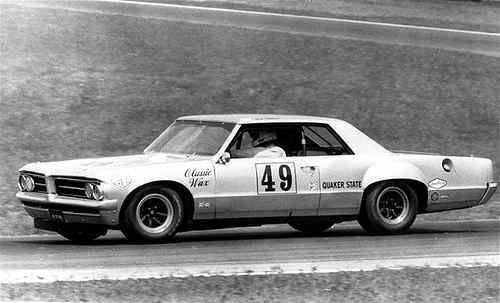 The panel work has been cut to facilitate the fitting of brake cooling ducts routed from the inboard headlamps, and though such was legal in '71, nothing confirms such was ever used during the single season the car was campaigned in the Trans Am. 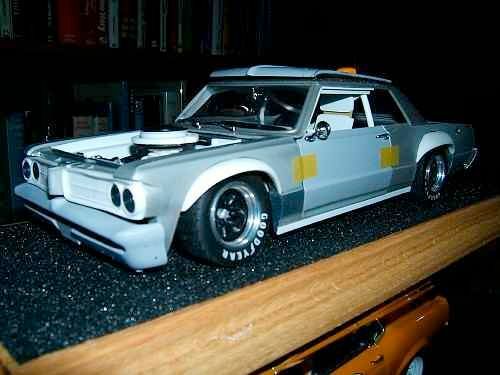 Hoping very much to secure the incomplete remains of a 1:18th GMP '70 GTO which could afford either just the air cleaner and fresh air metal stamping plus seal, or the entire driveline if this might be superior to the Lane tool. It seems they clipped the base a bit near the outboard circles that otherwise would form a seal to the twin scoops beneath the '70 hood. 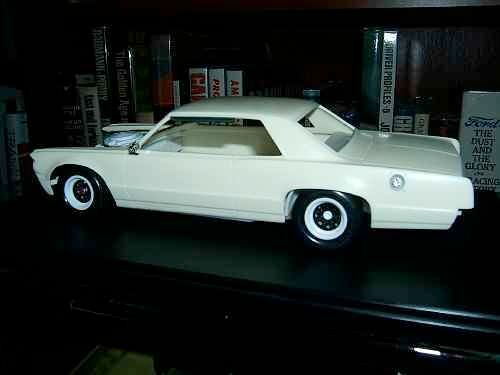 Not at all certain I can successfully perform such, but I do have a 1:18th ERTL Authentics '67 Impala SS as a parts car that may (or may not) yield up proper scissor hinges for the hood, as well as better door hinges. The hood hinges would be combined with a new firewall with an indentation reflecting the engine setback and the cowl fresh air cutout not yet seen on the model. Room will be tight underneath the hood 'stamping' for I'm working with a hopelessly thick casting instead! Regarding the doors and hinge assemblies, it seems I'll need to do something in this respect for the dog-leg hinges on the model fundamentally interfere with the yet to be fabricated roll cage members stretching forward and behind each respective A-pillar. I've done them in brass to establish the dimensions and angles needed, although absent proper hinge work, I'm reluctant to final fab. these. Mike, I very glad my posting of that photo was very helpful to you. I had not stopped to consider how the design of the roll cage might interfere with the door hinges on this car. There have been a number of headaches as you have moved from one thing to another on this model but I'm glad you are sticking with it. Pleased to report that a 1:18th GMP 1970 GTO parts car has been secured under very generous terms that require that I only cover shipping. 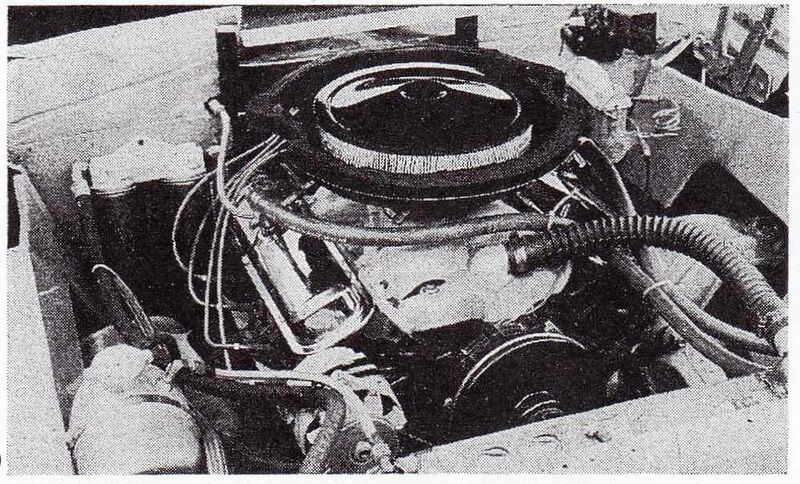 Concerning the tool, of particular interest is the engine and fresh air system, with the former possibly coming as tooled with Ram Air IV heads, while the air cleaner and seal seen in the photograph is clearly a far better basis from which to work as contrasted to what it will replace. The firewall was cut clear out of the shell 1964 Tempest just yesterday, permitting the fabrication of an entirely new assembly absent any evidence of the awful dog leg hinges such came through with. A collection of photographs of a stripped down '64 Tempest shell has been downloaded, the effort facilitated for typing 'rust-free shell 1964 Tempest' into an online image search. For some Pontiac custom fans, their exists something of a cult of having a smooth firewall with scarcely a thing on it, hence complex contours witnessed are few. A wiper motor, the distinctive twin remote oil filter setup, a plug atop the heater core, etc. will be required, but in total little should provide too terrible a challenge. The racing cowl induction setup will be reproduced in full, with all seals, etc. 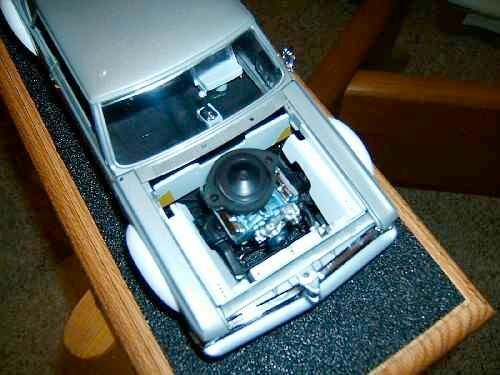 on the firewall and what I might be able to reproduce beneath the hood given scant clearance. 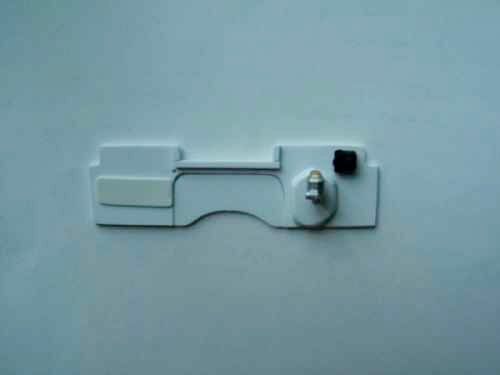 1:18th ERTL American Muscle 1967 Impala SS scissor hood hinges will be fit to the model, while I intend to do a larger two-piece mold for the hood to reproduce the same in lighter resin. Such will stress the hinges less, whereas otherwise I doubt very much that a bond could be made to hold between the hinges and the edge of panel they support. Door hinges will be scratchbuilt, although it will likely take until spring before I might make an inspection of an actual 1964 Tempest/GTO to establish what I'll need to scratchbuild here. 1:25th custom model enthusiasts and builders fabricate hinges all the time, whereas for working in the larger scale I ought to have few excuses to at least equal their efforts. Kind regards to the community. 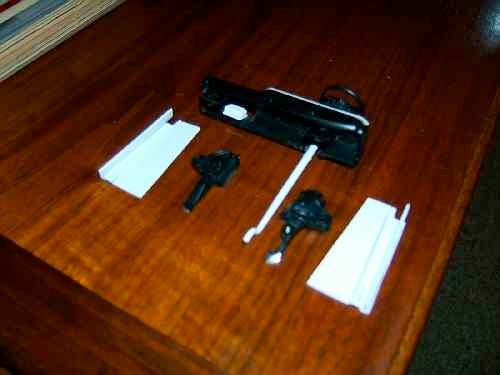 ...underhood of a standard 1:18th GMP 1970 Pontiac GTO Ram Air IV. Quite good! 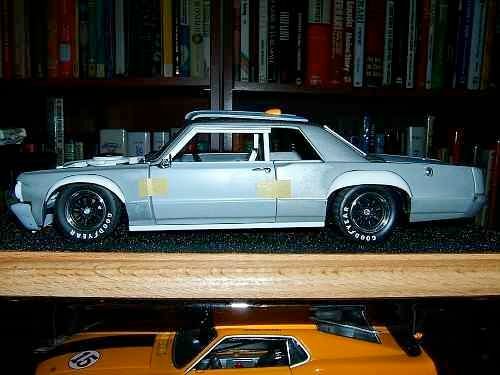 The 1:18th GMP '70 GTO parts car arrived, with items so-afforded being blended into the project where and when the suit. 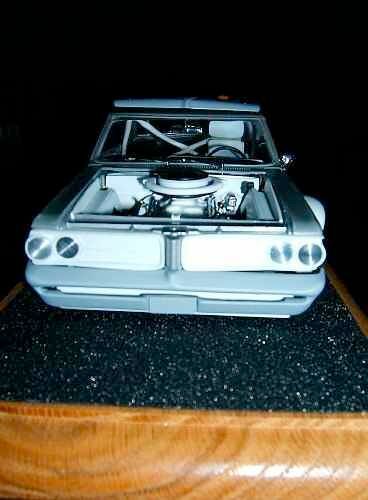 The firewall has been cut out of the '64 Sun Star Tempest/GTO, with a scratch-built unit taking shape as can be seen. The engine set-back necessitated firewall cutout affording clearance for such is yet to come, whereas the throttle bell crank should be possible. 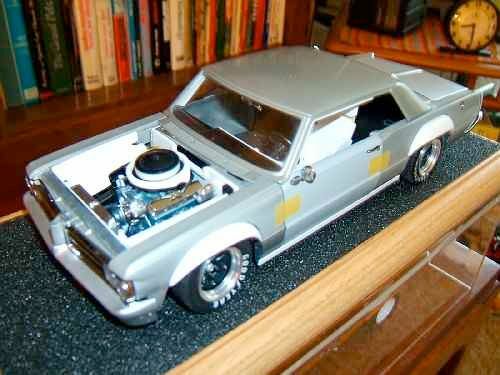 The home-brewed cowl induction 'system' may be seen taking shape, whereas a wiper motor from the 1:18 ERTL American Muscle '67 Impala SS will be added. 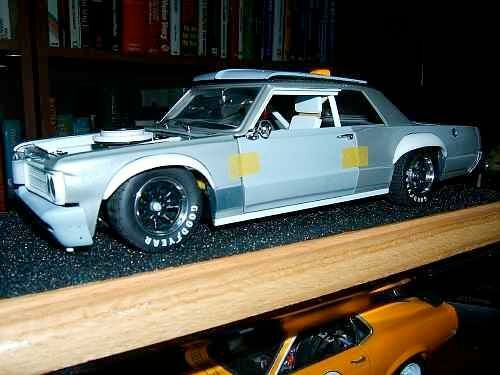 Although not final, the 1:18th GMP '70 GTO fresh air seal and base was combined with the 1:18th Hwy. 61 '69 Camaro air filter which still proves a better shape, whereas the valve covers and front accessory drive were likewise isolated and substituted in. One might also notice the upper control arms and the extent of the frame which rises above a flat plane removed from the GMP tool and slated to be likewise added. Clearance pockets for the upper control arms have not yet been cut into the inner fender assemblies which aren't final either. Though impossible to make out here, each upper control arm is held in with a pin that enables each to pivot and swing in accordance with its function, while shock detail, ball joint detail and the fact that each control arm seems to been painted silver will make all of this stand out - in time. ...the top pulley was sanded from behind to convert the two-channel/two-belt pulley to a single-channel/single-belt version as per the actual car. 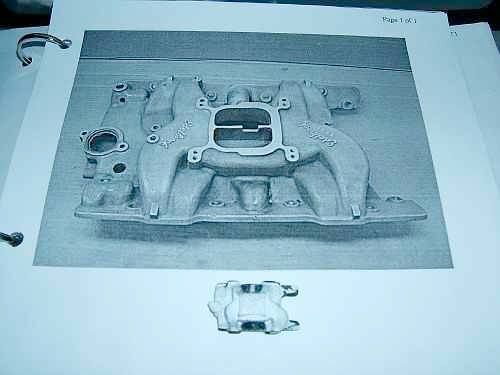 The GMP '70 GTO pulley was also larger of diameter, again better reflecting what was employed on the Pontiac V8. Mike, your latest work is really paying off. I'm liking how things are turning out. It is really picking up the flavor of the real car, in my opinion. 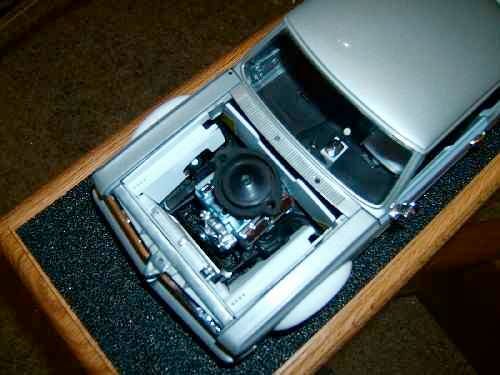 Perhaps not enthrallling, but how engine setback is accommodated in 1:18th scale. Plastic sheet in two thicknesses, with the weld bead clear nail polish applied thin on the edges that meet, and rather thick consistent with pushing the material out from behind. The heater core cover is also new (it seemed fabricated rather than a delete plate), whereas left of the cowl seal is where fuel is routed to the carburetor. Concerning the firewall - more exciting seams and bumps to follow. building an intake manifold. Wow! My hat is off to you. ... the intake is well underway. Mounting flanges and base recycled from 1:18th GMP '70 GTO, whereas the individual levels of the two-plane design constitute two layers of plastic sheet shaped to suit. 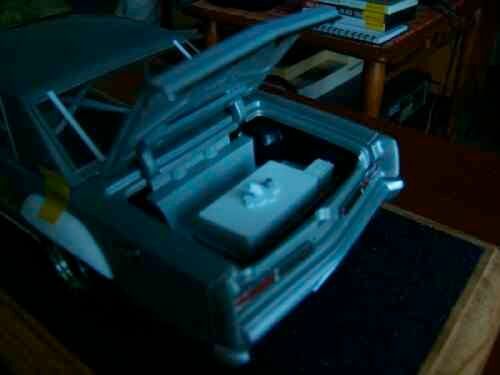 A base for the water inlet was taken from the 1:18th ERTL Authentics '67 Impala SS and reused here, whereas most everything else was blended together for the use of putty. Though a bit muddy in the photo image provided, the cast-in manifold heat passage has been added, while 'burning it' together via the use of clear lacquer discolored matters a bit. When a mold is made of this, all should blend together in an agreeable fashion. 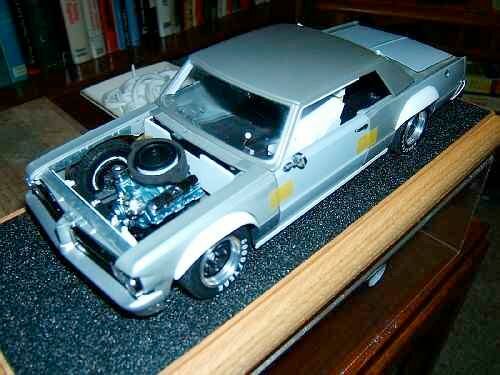 The carburetor base combines two castings formerly scratchbuilt to reproduce a fair Hurst S/S AMX cross ram intake. The rear of the manifold flanges required sectioning in of material to reproduce the solid contour seen in the photo atop the model, whereas other discreet additions will in all likelihood bring it to life. I may cover the part with a dusting of baking soda scattered atop a layer of clear to afford the entire assembly a bit of surface texture. This prototype is a bit raw, whereas modest additional detail will be added including attachment points for hardware, linkages, etc. 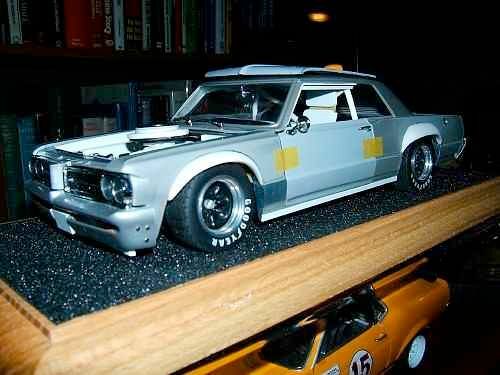 For use on the '70-'71 season Pontiacs then, hence one for the '70 T/G Firebird (with hack and slash mods. for the first race if I so choose given they tried to slip a short deck block past tech. ), one for the Gray Ghost, and perhaps one for a B.F. Goodrich Radial 'Tirebird' if such is ever attempted. Proceeding ahead then. Very impressive, Mike. All I can say is "Wow!" again. An attempt here to reproduce some detail seen on the 1:25th plastic version of the Gray Ghost a while back, for I've created a mold of the grille sans identification, creating two in total, and have flattened the profile of the front bumper (as opposed to the 'vee' as per stock). Further, the opening witnessed within and across the front bumper ought to have continued both straight and flat where the license plate mount is seen, and hence what additional material rose above this opening has since been trimmed back. A bit of a muddle at present for the result appears as menacing as a slow-moving nurse shark. Clearly the bumper needs to be both raised and pulled further back into the panel work, but strangely meek it appears in total. I'm sure it was the right choice to make, whereas filing off and rebuilding the Pontiac 'beak' on a slight diminishing angle will help consolidate matters visually. It seems Trans-Action (the official name of the team then) had an eye on the Holman and Moody Torino Talledegas to the extent of discreetly cleaning up the profile up front. ...before, and such will look better for the front bumper is body color and the grilles reflect back a chrome finish. The standard grilles are in fact stamped aluminum, hence no profound worry that I'll not be able to strictly see to this via the use of Alclad lacquer. ...still requiring some work to clean up the side indicator pockets wish bear evidence of unneeded extra material. The headrest is too wide as well - this slated to shrink from side-to-side. The resin intake pokes through, while yes - I do have to reduce the height of everything to ensure the hood may close, etc. A happy discovery here and update of something I felt settled, done, finished, etc. Some firm known as Pegasus Model Accessories also does turned aluminum wheels in scale, whereas product #2399 23" Aluminum Stepped Sleeves replace the previous aluminum wheel lips employed. Such feature a less fussy lip design, are agreeably tapered, and may have been fabricated from harder stock in point of fact. Very subtle front bumper mount work, witnessing the further tucking in of the assembly relative to the panelwork.